Betty began volunteering for the Red Cross with her mother during World War II, where her primary duties included rolling bandages and knitting clothes. Lots of time has passed since then, but Betty never stopped – amazingly, she’s volunteered regularly with the Red Cross for over 60 years! Betty doesn’t find anything exceptional or special about herself – which is exactly what makes her so exceptional and special. She began volunteering for the Red Cross with her mother during World War II, where her primary duties included rolling bandages and knitting clothes. 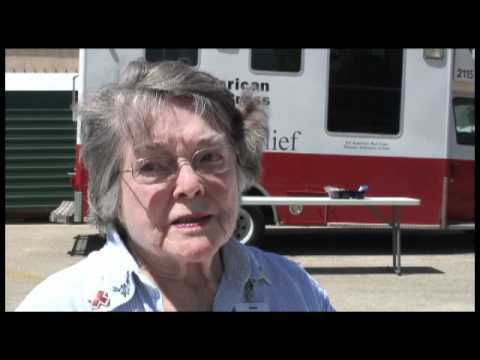 After getting married and moving to Texas, Betty resumed her work through the American Red Cross Dallas chapter, where she has assisted with myriad natural disaster relief efforts throughout Texas and the nation. Despite the demands of her job as a high school teacher, her commitment to the Red Cross has remained steadfast over the years. Betty and two of her six children even sit on the Red Cross Board of Directors. She says she has dedicated so much of her life to the Red Cross because she loves the people and the difference they can make in horrible situations.